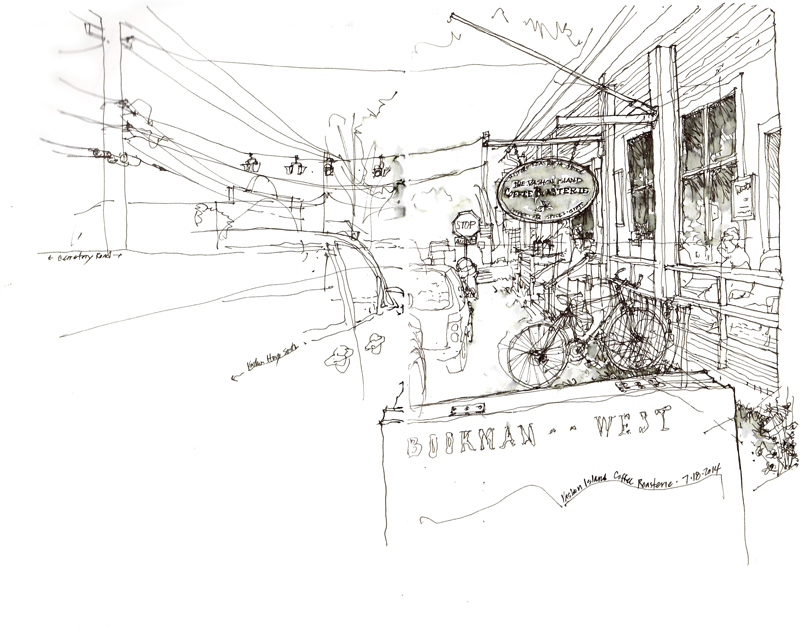 At an ad hoc outing this past Friday on Vashon Island, sponsored by the Tacoma Urban Sketchers group, we met first at Darsie and Christine Beck’s Waterworks Studio before departing to sketch at various locations on Vashon Island. 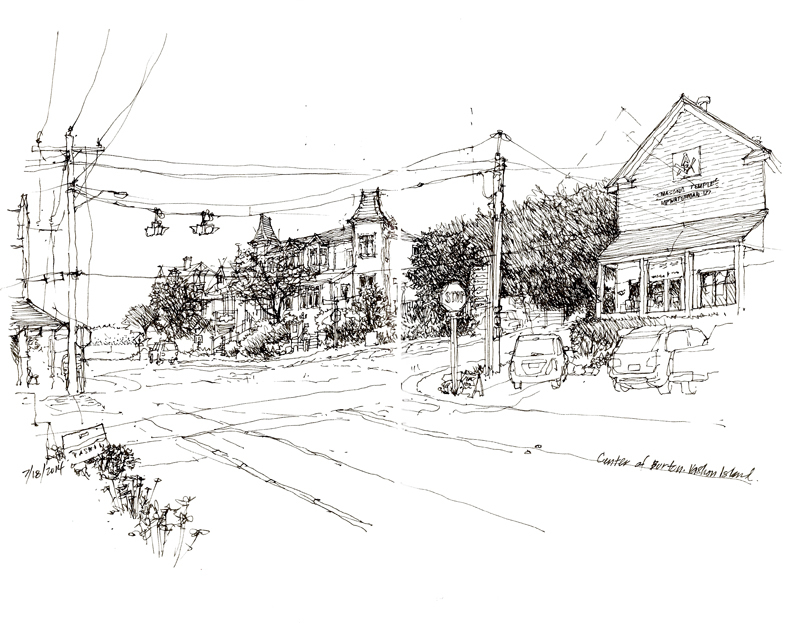 This view is of Burton Center, one of the several four-way stops on Vashon Island, which has no stop lights (yet). On the left edge is the Burton Store, in the middle stands The Inn on Vashon, and on the right is the old Mason’s Temple, now a store. As Vashon Highway disappears on the left, you can catch a glimpse of outer Quartermaster Harbor beyond. This second view is of the Vashon Island Coffee Roasterie, original home of the Stewart Bros. Coffee roasterie. I may be mistaken but I recall that a lawsuit brought by a similarly named company in Chicago caused a name change to Seattle’s Best Coffee, the brand that was bought out by Starbucks in 2003. Fortunately, this historic structure remains a coffee shop and museum, and still an attractive place for a cup of coffee at the junction of SW Cemetery Road and Vashon Highway SW. Right next door is Minglement, a neighborhood organic health food store, as well as a used book shop.